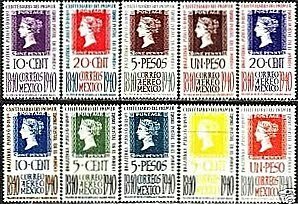 In 1940, Mex ico issued a compound set celebrating the Centenary of the Postage Stamp (Scott #754-58, C103-07). 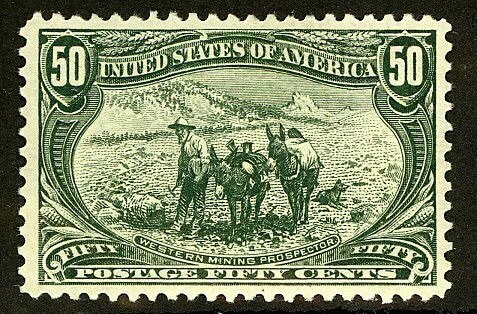 Only 5,000 sets were issued, and Scott '10 values the unused set at $ 141.00 ($ 340.00 for NH). 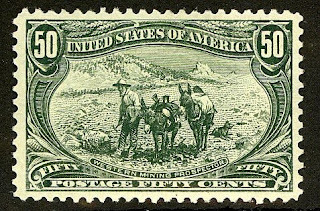 Aside from the fact that this is a scarce set from a rapidly developing country, demand for it is augmented by its appeal as a "Stamps-on-Stamps" topical. I've never seen a first day cover for this issue, but I'd guess that there are probably a few hundred of them around. If you happen to find one in decent shape, with a nice cachet, and selling for a slight premium over the cost of a used set (or less), then jump on it. I have begun a new blog, "The Stamp Specialist", which will feature wholesale buy prices for stamps which I am interested in purchasing. The first such buy list is for Mexico, and includes the set recommended in this article. Viewing dealers' buy lists every now and then is an excellent way to keep current on the vagaries of the stamp market.